#Bahati : Kevin Kioko "Bahati" weds Diana Murua, "expectant" in a secret wedding. -Gospel Artist Bahati. - Bana Kenya News, Real African Network Tubanane. Home Entertainment #Bahati : Kevin Kioko "Bahati" weds Diana Murua, "expectant" in a secret wedding. -Gospel Artist Bahati. #Bahati : Kevin Kioko "Bahati" weds Diana Murua, "expectant" in a secret wedding. -Gospel Artist Bahati. 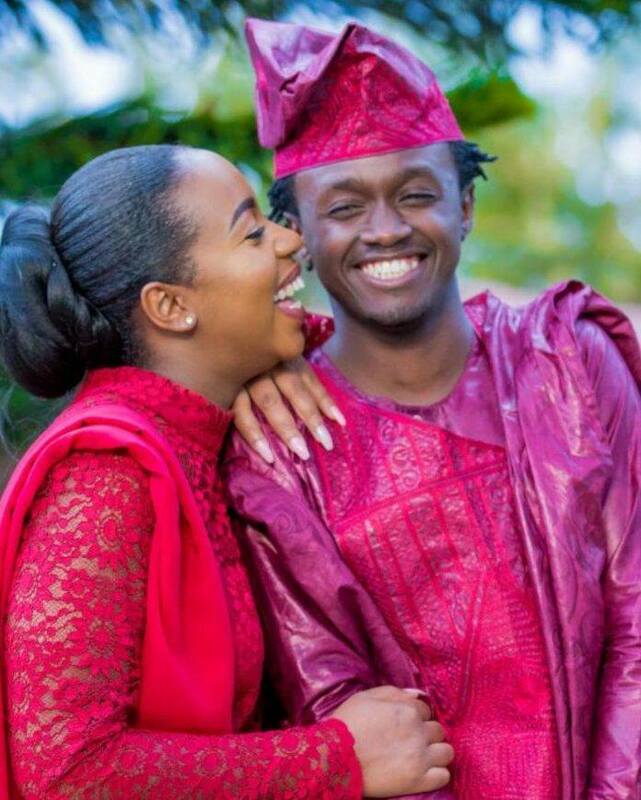 A gospel Music artist Bahati weds Diana Marua in a Secret Wedding on Mashujaa Day on a secret wedding in Nairobi. People have been talking about Bahati on his moves after his fans saw his fiance expectant. Kevin Kioko wedded Diana Murua in a secret ceremony that was attended by less than 50 people with no coverage. The two lovebirds have been dating for three years in a controversial relationship. Bahati once spotted with Diana and he referred her as a prayer partner. The wedding was organized in a quicker way as the Diana is expectant and will deliver soon. Bahati secret wedding with Diana Murua has ignited a talk about nature Christian wedding online. Their wedding comes just a few weeks after they announced that they are expecting their first child. The wedding was to postponed but later decided to carry on.